The Japanese Consortium (JC) is once again on hand for the Olympic Games, offering Japanese-rights holders a way to streamline production and also leverage each other’s experience, personnel, and talents. 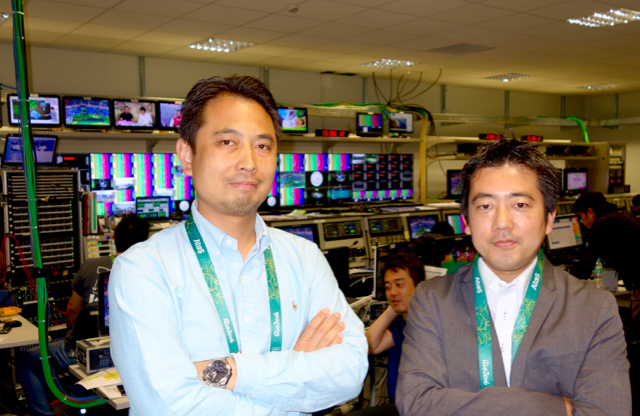 “The JC operations team has people from each member channel to make a special team,” notes Yuichi Ichiko, producer, NHK Sports. The JC members are public broadcaster NHK and five commercial channels: NTV, TBS, TV Asahi, TX, and Fuji. 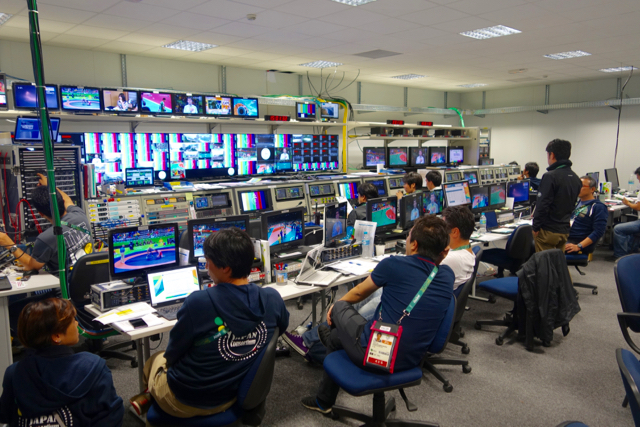 Each has its own operations area at the IBC complete with a studio for its own hosts and interviews, but the six share a common production area that ultimately creates five feeds of content sent to Japan. And, if there is an important sport of interest to all channels, JC Operations will do the mixed-zone interview. According to Ichiko, the advantages of a combined approach include shared technical costs and the need for a smaller workforce. Also, with a joint team handling event production, the channels can deploy personnel on feature reporting and other content. Each of the five feeds is sent to Tokyo via fiber at 40 Mbps. The Japan Consortium is a joint operation of six Japanese broadcasters. The production switchers in use are a larger For-A model that can handle 12 inputs and smaller Panasonic production switchers in the smaller control room.